Capturing the perspectives and insight of the nation’s top meeting professionals is a major focus of MSA. Through Customer Advisory Boards and focused research efforts, MSA stays at the heart of the issues that drive the dynamics between market forces and association/corporation strategic objectives. Marketing your meeting or convention isn’t easy. Attendance is driven by a wide variety of factors, including the appeal of the destination. MSA’s unique research gets to the heart of why members of associations prefer some cities over others. Association members, not just attendees, are asked a series of questions that strategically combine straight-forward questions with psychographic queries that delve into the myriad of factors that go into the decision to attend or not. The survey results provide the association and convention & visitors bureaus/DMOs, with valuable benchmark data from which they can devise their marketing and positioning strategies. Through its expert consultants, MSA can draft and conduct surveys on a wide variety of meeting industry topics. 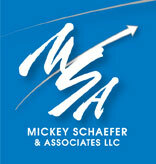 Mickey Schaefer’s extensive experience with market research and thorough knowledge of industry issues and trends offers a unique approach to research which ensures that you obtain the critical information you need to enhance your decision-making process and drive your strategies.